The eighth round of action in the Premier League is sure to be a memorable one, with title challengers Liverpool and Manchester City locking horns at Anfield on Sunday afternoon. 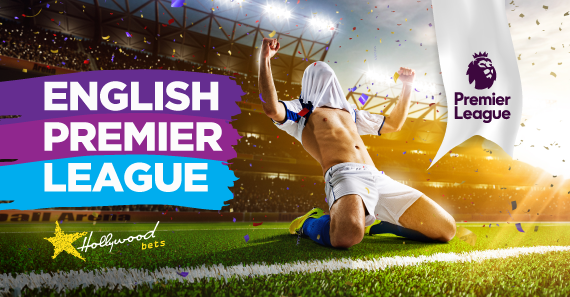 The two teams have made excellent starts to the Premier League season, with both sides level on 19 points at the summit of the table, and this match could lay down a marker of intent. Daniel Sturridge's sensational strike a minute from time preserved Liverpool's unbeaten start to the Premier League season as Jurgen Klopp's men salvaged a 1-1 draw at Chelsea last Saturday. Although the Reds could not build on six wins in six games – their best start in 28 years – Klopp would have been pleased to leave Stamford Bridge with a point. The Reds have another tough test this weekend as they face champions Manchester City on Sunday, but Klopp's men will be happy to return to fortress Anfield where they fancy themselves against any Premier League side. The Merseysiders have prevailed in their last four home games against Guardiola's men which will give them great confidence going into Sunday’s clash. Liverpool are widely accepted to be City's closest challengers for the championship and have an opportunity to put daylight between themselves and the reigning champions ahead of the upcoming international break. Klopp will be hoping Mohamed Salah is at his best against the Citizens. The Egyptian has struggled at times this season and was substituted against Chelsea after wasting some good opportunities. He has found the net only three times in eight games so far this campaign which isn’t quite up to the standards he set in his first season as a Red. Liverpool’s stand-out defender this season Virgil van Dijk is backing Salah to rediscover his killer instinct. “We are seven games in and Mo’s working hard. He’s still the same Mo, and he needs a bit of luck as well,” said Van Dijk. Klopp will rely on the attacking trio of Salah, Roberto Firmino and Sadio Mane to cause City problems and fire the Reds to victory, while he can also look to Sturridge and Xherdan Shaqiri to come off the bench and make an impact. Manchester City are top of the Premier League table, level on points with Liverpool but above on goal difference. Like the Reds, they’ve won six games, drawn once and shipped three goals, but it’s their attack that have put City ahead with 21 goals scored compared to Liverpool’s 15. Pep Guardiola’s side will be looking to maintain their unbeaten start to the campaign, but they’ll face a daunting trip to Anfield on Sunday where they’ve struggled in recent seasons. However, Guardiola has said that he is not afraid of Liverpool despite his side losing their last three encounters with Klopp's men. The Premier League champions were beaten twice by the Reds in the quarter-finals of last season's Champions League, while they also lost 4-3 at Anfield in the Premier League in January. City are winless at Anfield since May 2003 – a run of 17 games in all competitions – but Guardiola said he expects his team to fight for a result. "I believe too much in that team, in those guys," he said. "I know how they fight. Go to Anfield, win, lose, whatever. It's a long time ago Man City was able to win at Anfield. What I want to see is the team alive, and we are alive. "If they beat us three times, they are a good side. They lost the first game in the Carabao Cup [against Chelsea last week] but at Anfield they score a lot of goals, they don't concede. He concluded. Guardiola also admitted that star striker Sergio Aguero is a doubt for the trip to Anfield after playing through a foot problem in recent weeks. The Argentine was substituted immediately after scoring City’s second – his fifth league goal of the season – to wrap up the points in last Saturday’s 2-0 win over Brighton. Aguero’s absence would be a massive blow for City as he’s scored six goals and registered four assists in 13 games against Liverpool. He was a notable absentee in last season’s Champions League quarter-final clash as he managed just 24 minutes across the two legs. Benjamin Mendy is another doubt, having missed the last four fixtures with a knee injury. Fabian Delph and Oleksandr Zinchenko have deputised in his absence, with the latter impressing against Brighton. Liverpool will be confident of claiming all three points over City at Anfield where they went the entire 2017/18 Premier League season unbeaten. Klopp's men have won in their last four home games against Guardiola's side. Back the Reds to come out on top at 15/10.